Conwy Castle is a medieval fortification in Conwy, on the north coast of Wales. 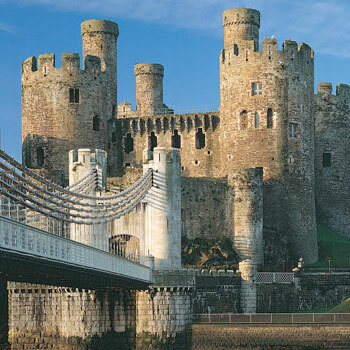 It was built by Edward I, during his conquest of Wales, between 1283 and 1289. Constructed as part of a wider project to create the walled town of Conwy, the combined defences cost around £15,000, a huge sum for the period. Over the next few centuries, the castle played an important part in several wars. It withstood the siege of Madog ap Llywelyn in the winter of 1294–95, acted as a temporary haven for Richard II in 1399 and was held for several months by forces loyal to Owain Glyndŵr in 1401.